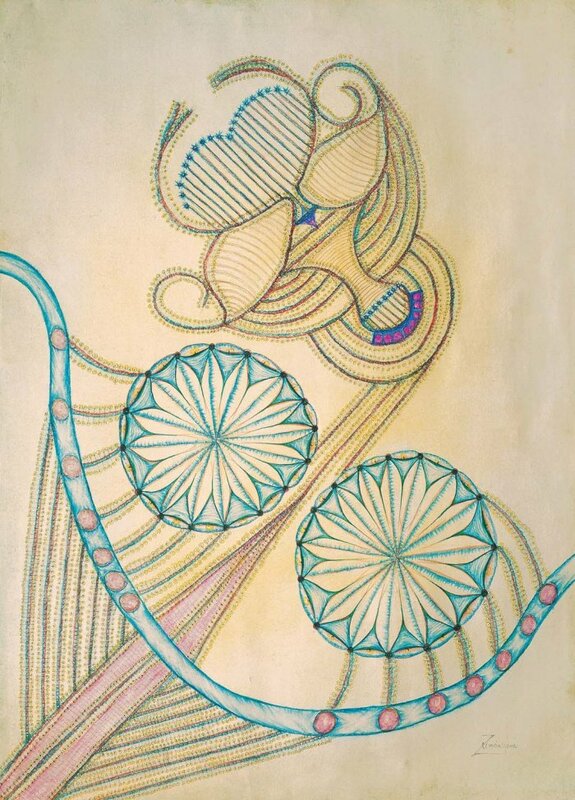 Currently viewing the tag: "Abstract"
Patternbank have been researching some of the unknown artists that are part of Outsider Art or Art Brut group and discovered these delightful drawings and embroideries by Anna Zemánková. 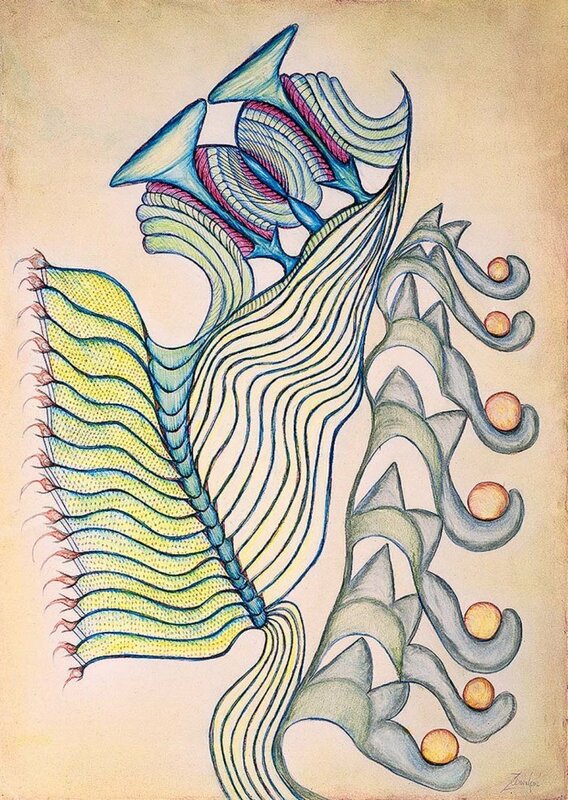 Born in 1908 in Olomouc, Moravia, Czech Republic, Zemánková as a child always loved to draw but was not encouraged by her parents and became a dental technician. 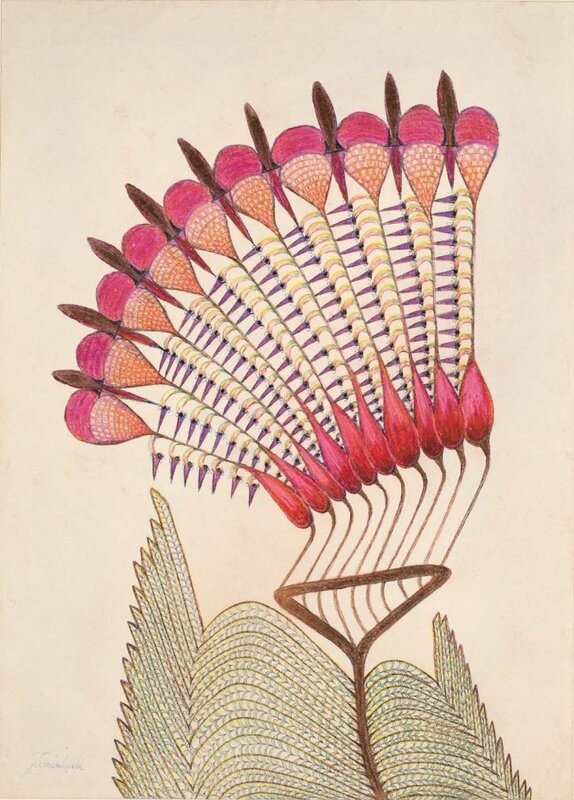 It was a succession of painful events in her life, the death of her eldest son, several bouts of depression and diabetes, resulting in the amputation of both her legs, that at the age of 52, she was encouraged by her two remaining sons to draw. 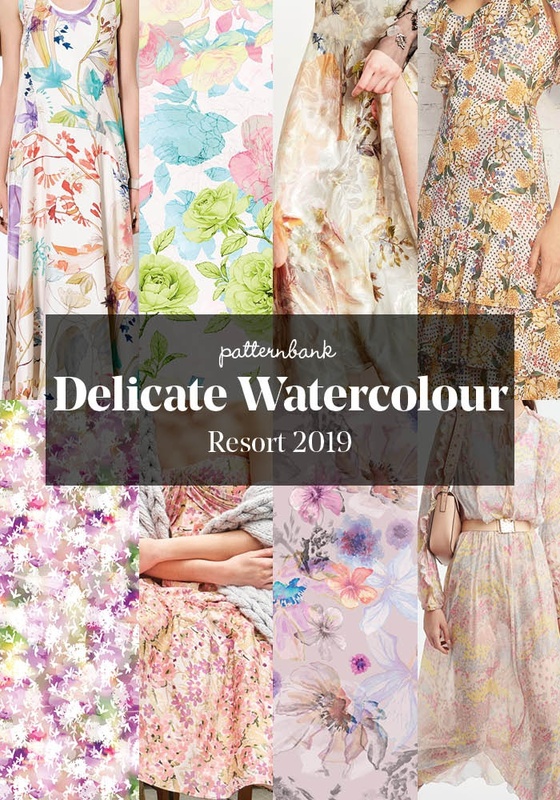 She first worked in pastels on large sheets of paper; over the following years, she gradually developed an innovative technique blending pencil, ink, pastels, perforation, collage, cut-outs, embossing and even embroidery. 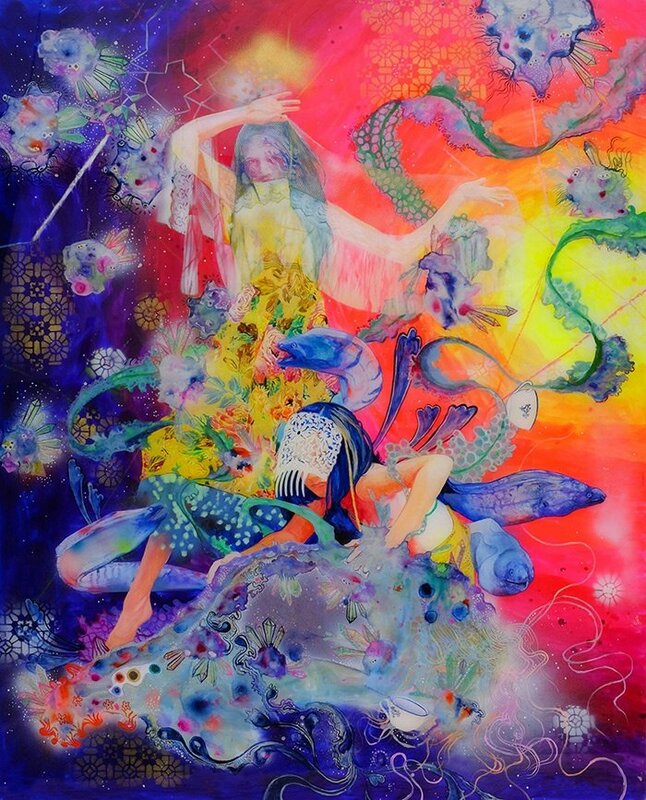 If you are interested in her drawing this book is available to buy on Amazon. 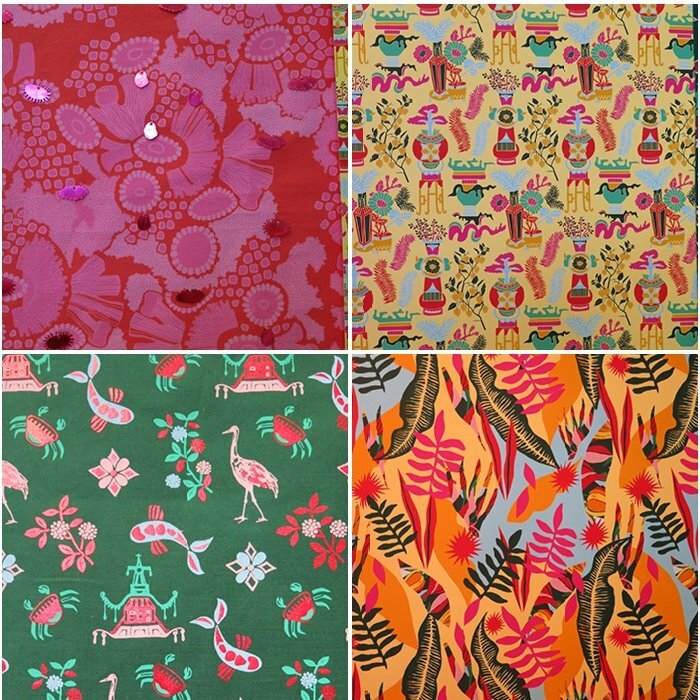 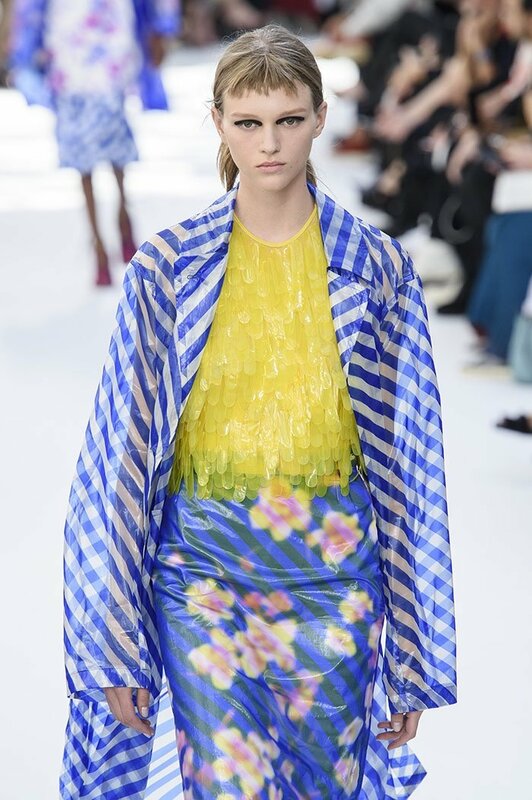 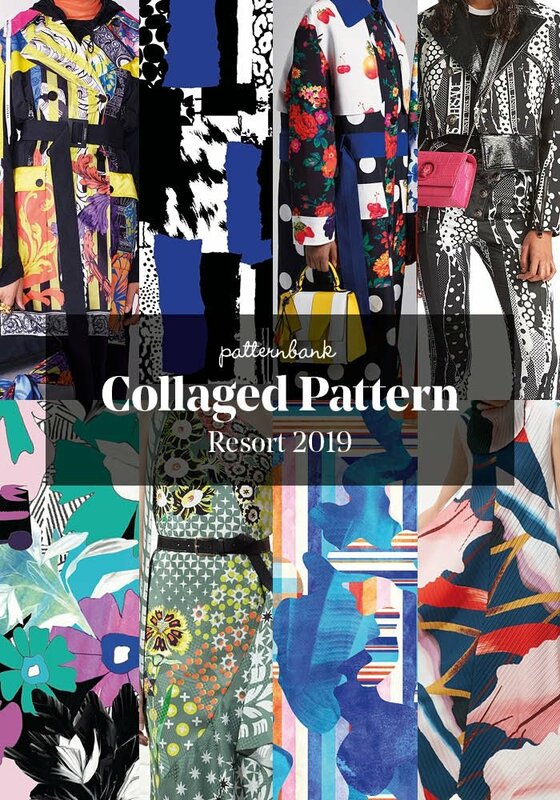 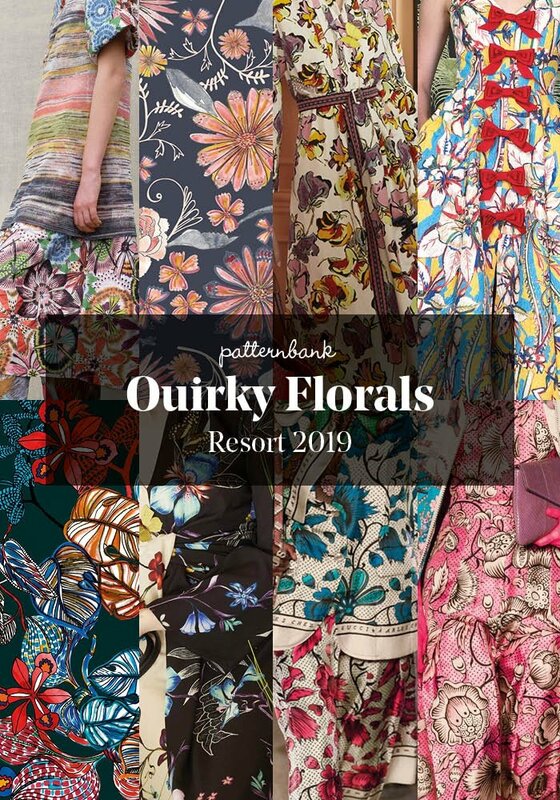 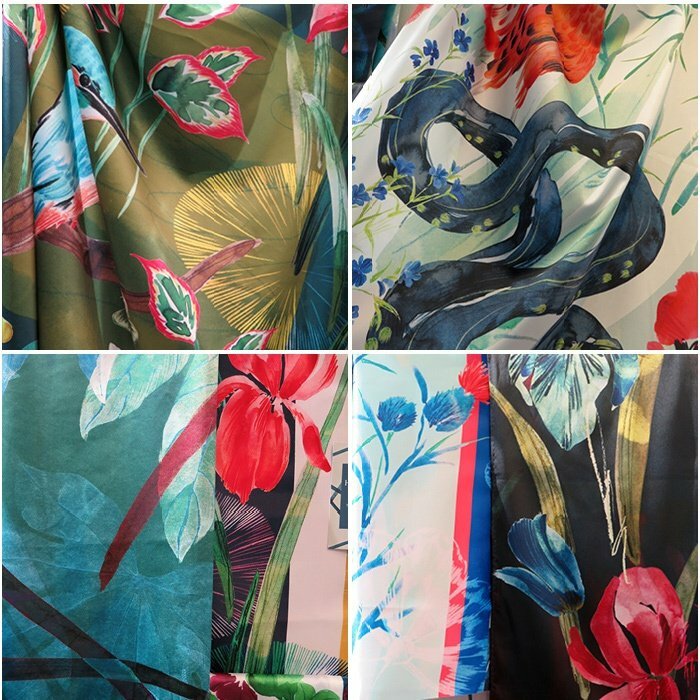 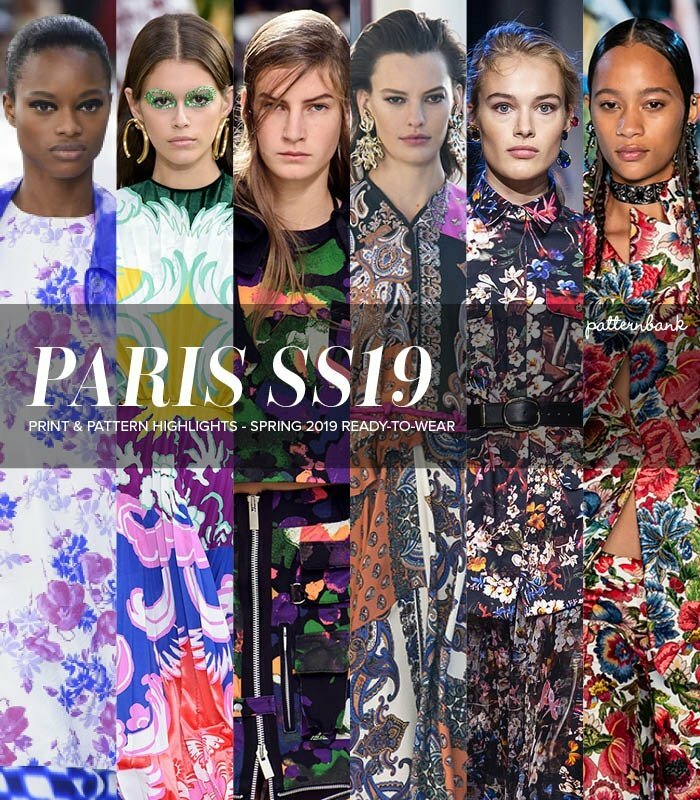 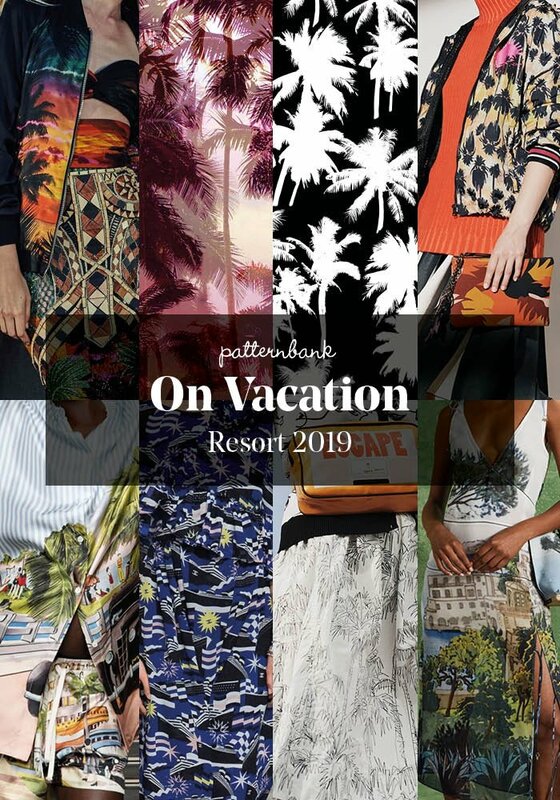 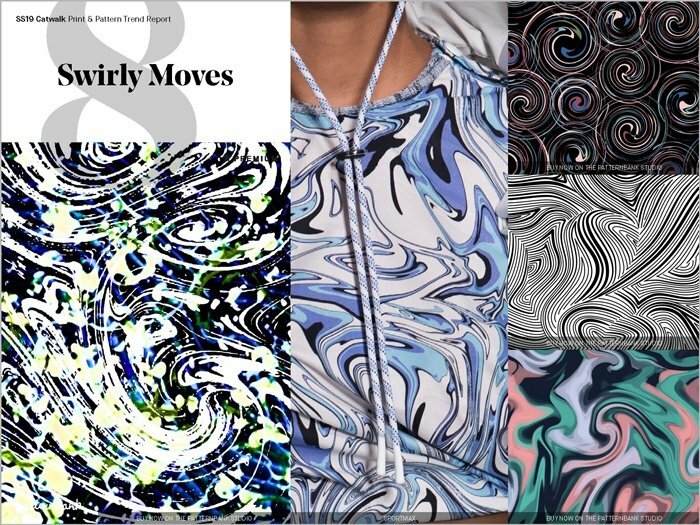 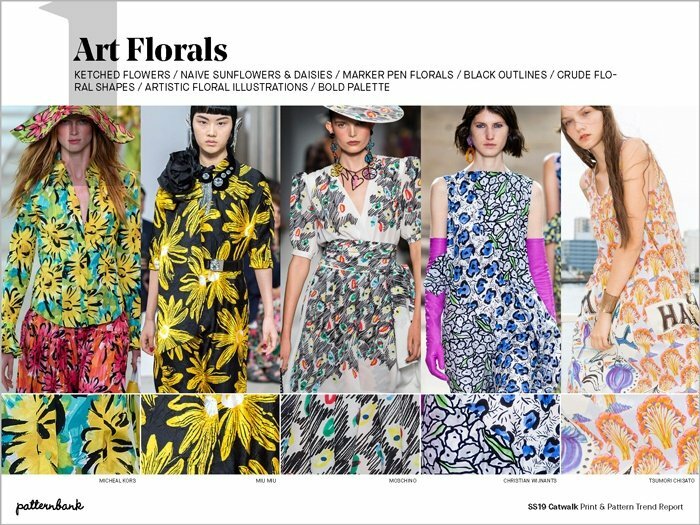 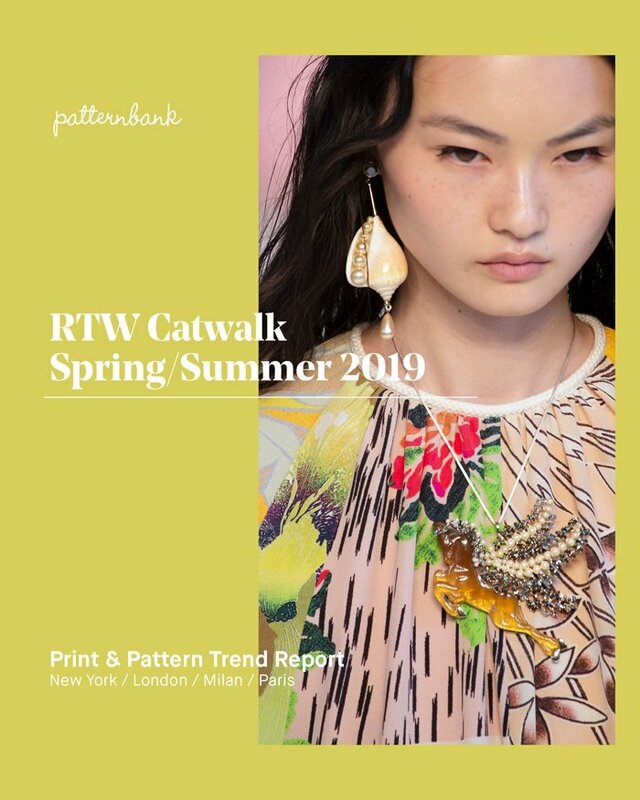 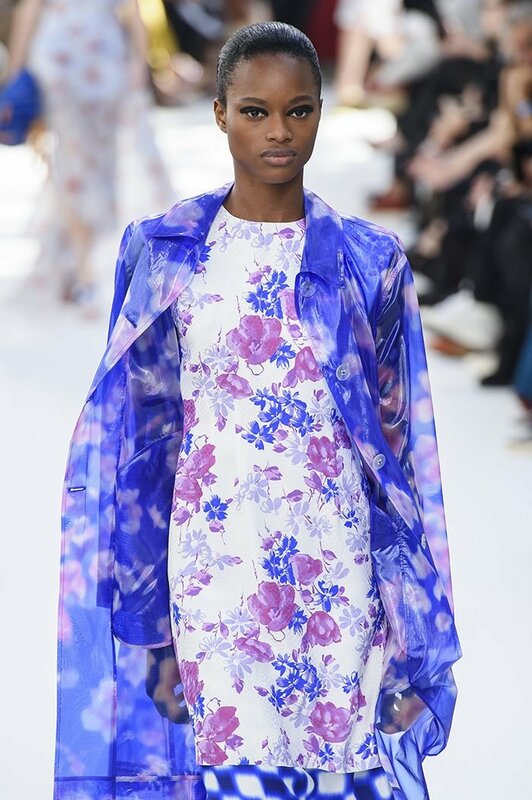 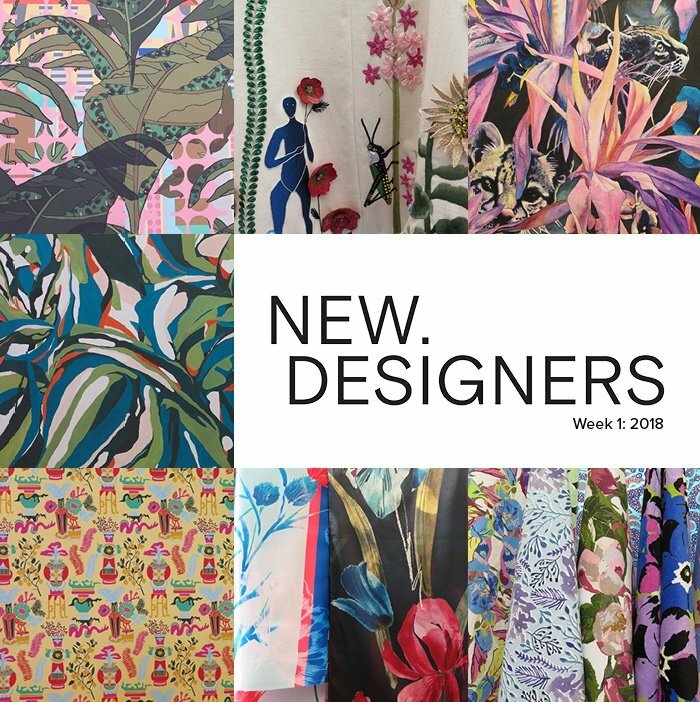 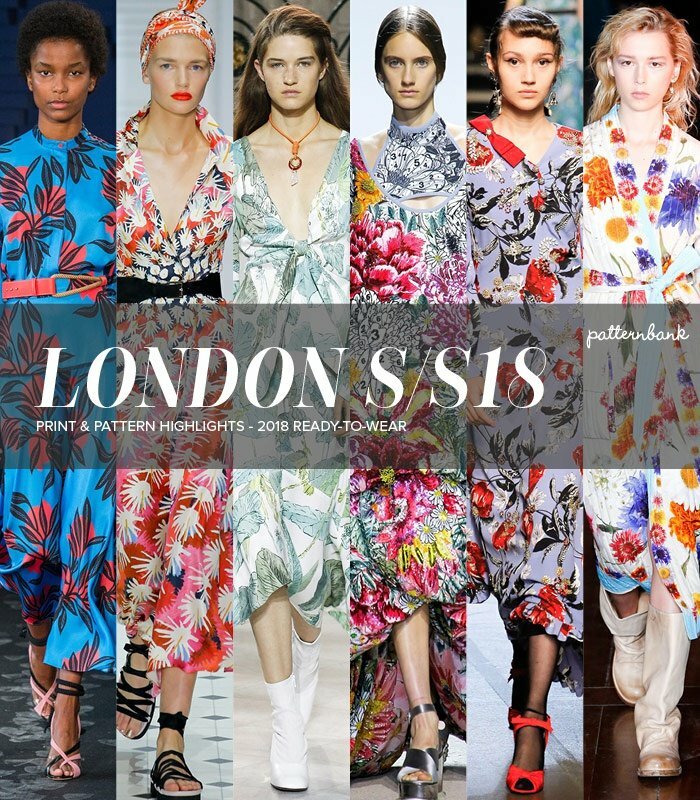 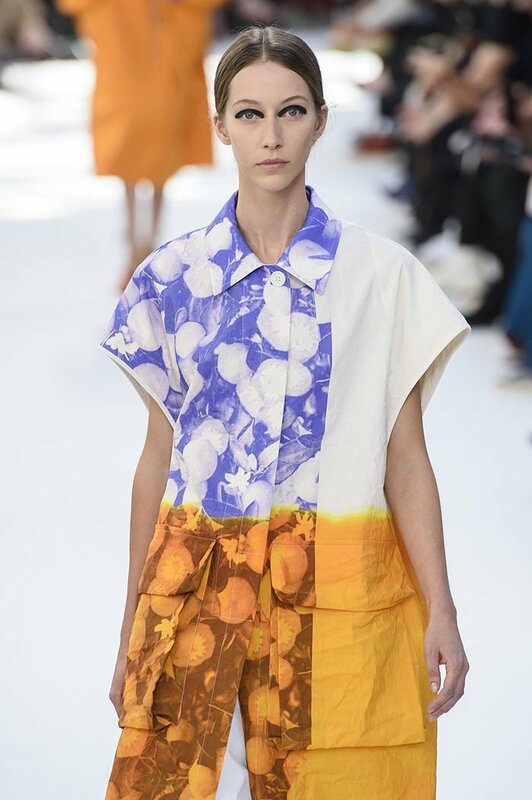 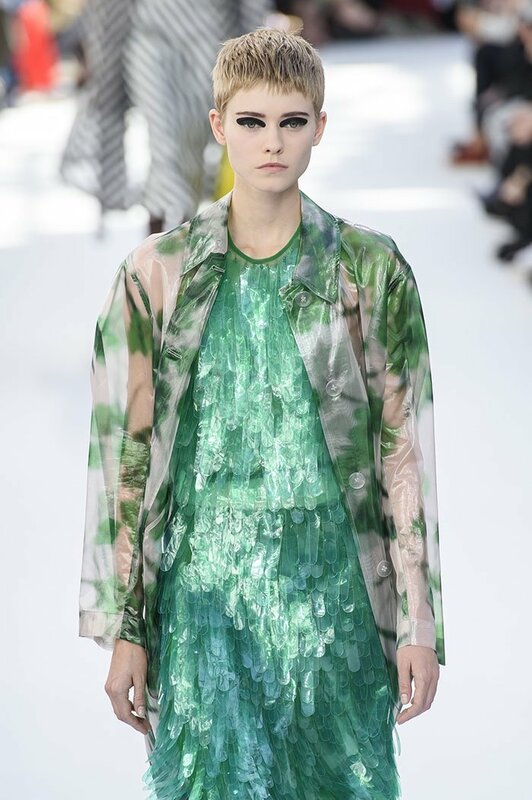 Patternbank bring you the strongest print and pattern trends seen at the recent Resort 2019 collections alongside some of our designs from the Patternbank Online Textile Design Studio. 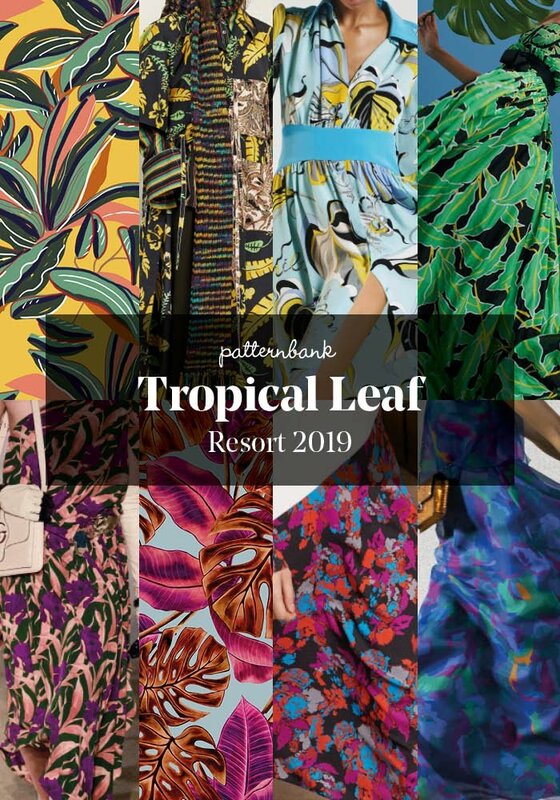 The collections were a mix of bright vibrant pattern, with bold stand out tropicals and a new fun take on hand painted florals. 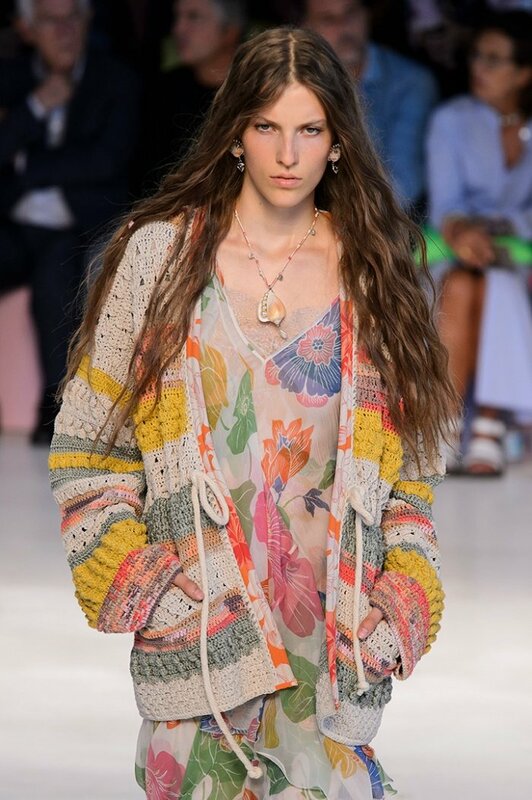 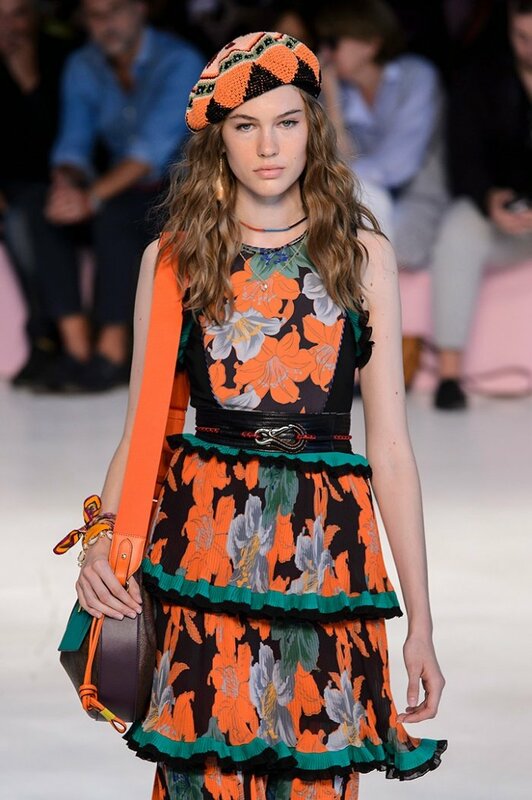 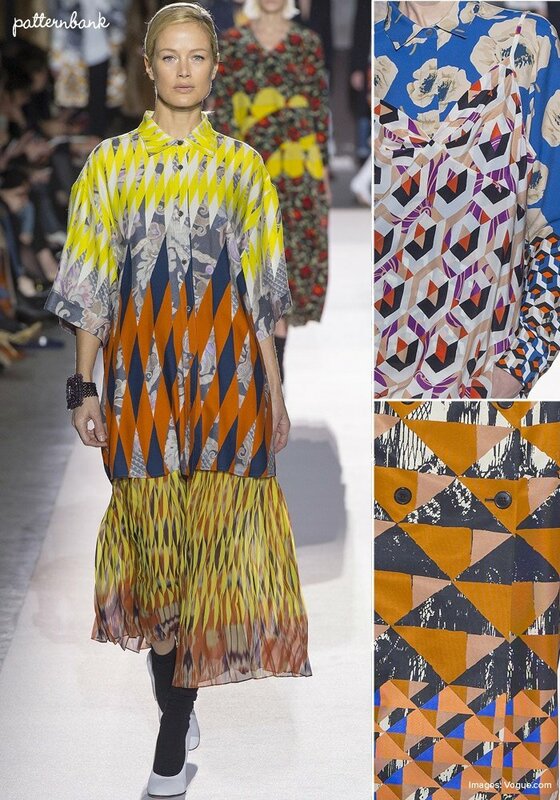 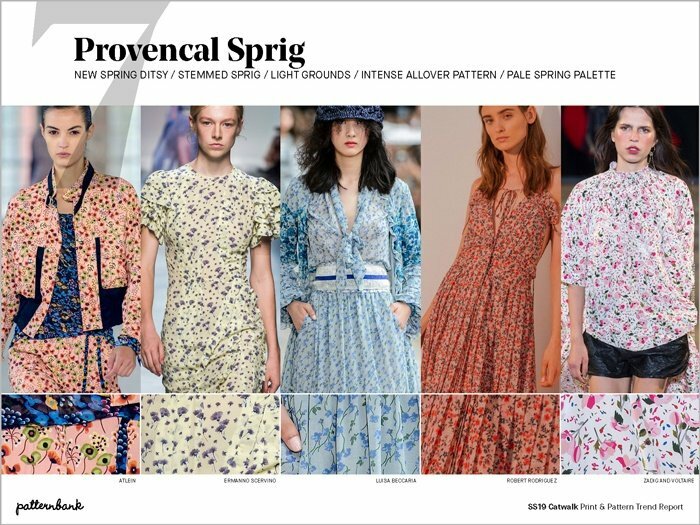 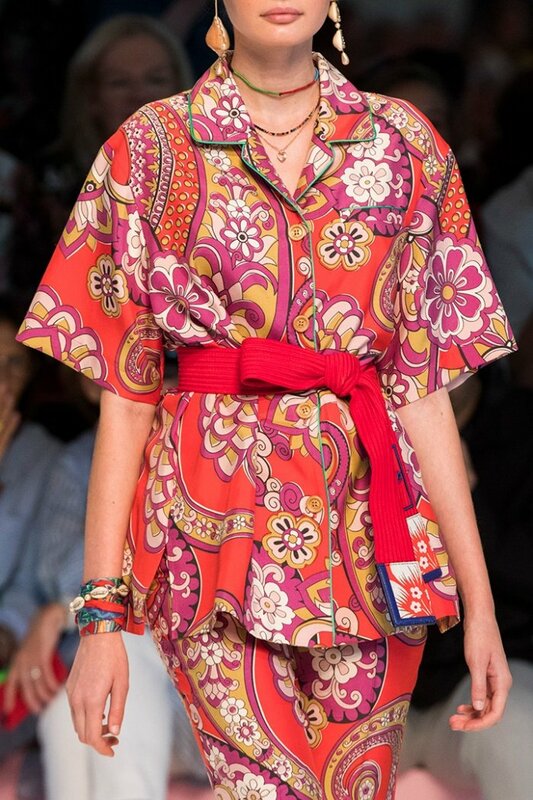 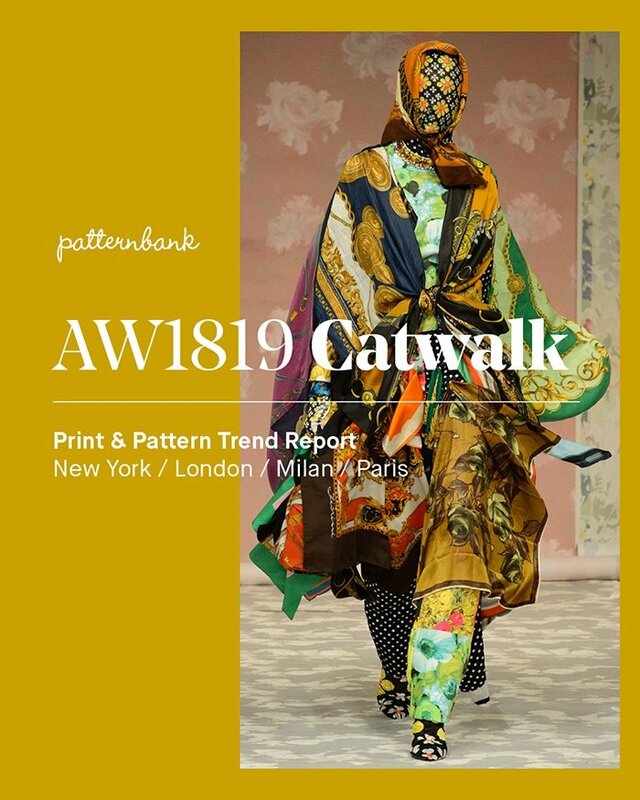 Watch out for part 2 of our print trend analysis next week. 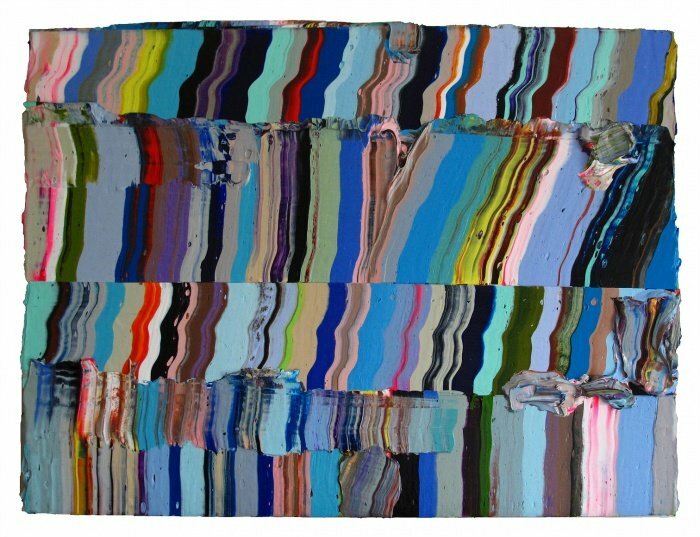 Patternbank fell in love with the colourful abstract paintings of Natalia Black, who lives and works in Belfast, Northern Ireland and Liverpool, England. 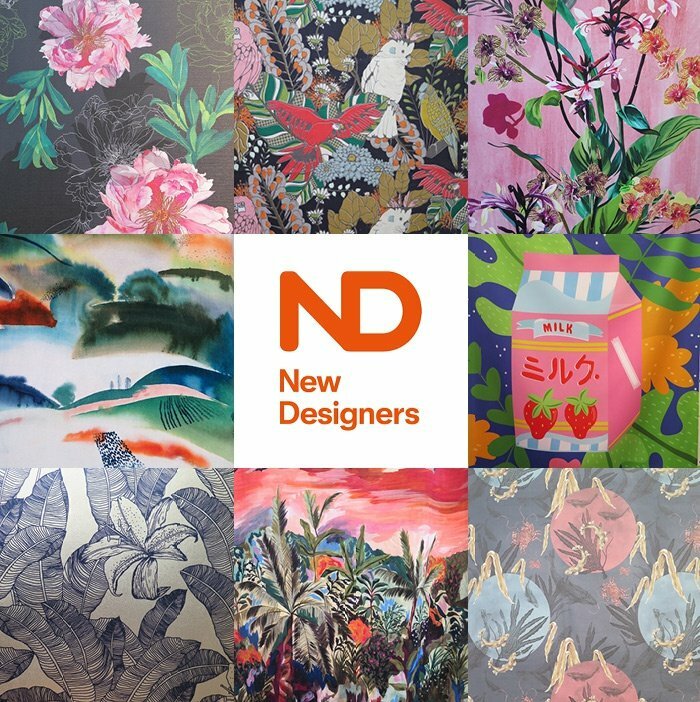 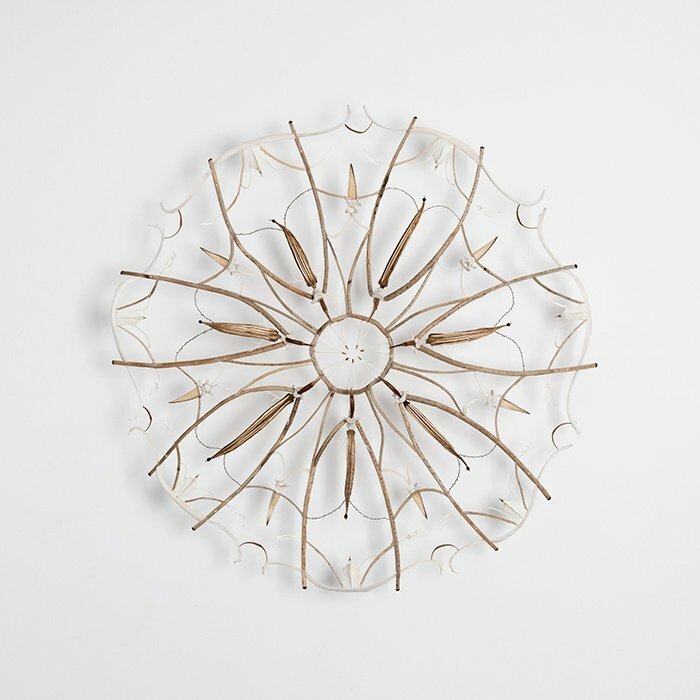 Natalia gained a Degree in Fine Arts from the Comenius University in Bratislava, Slovakia and later moved to Northern Ireland where she developed and established her career as an artist. 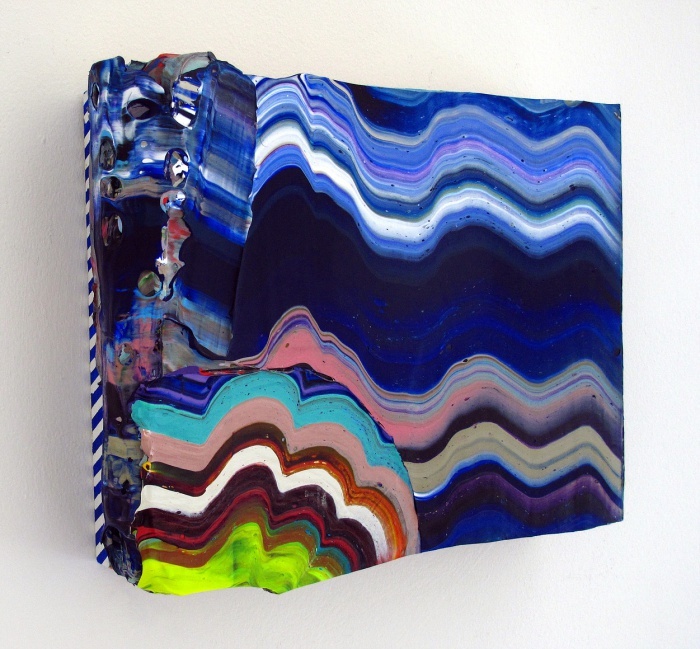 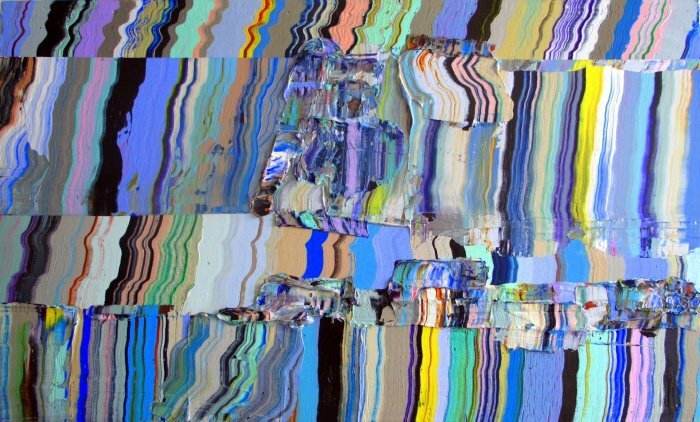 Many of her paintings are on canvas and wood but in recent years she has started experimenting with new technologies and has made a series of digital abstract paintings on metal. 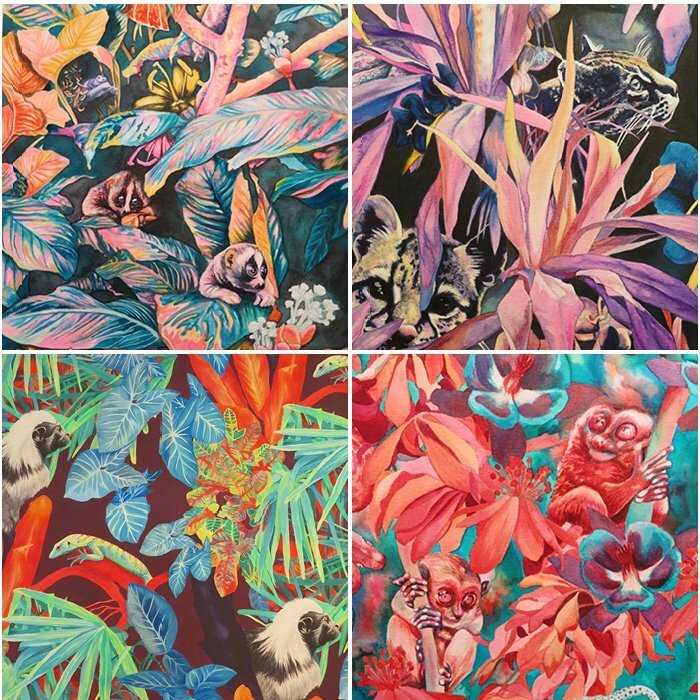 These beautiful intricate pieces are created by transforming the qualities of natural landscapes into their synthetic non-figurative versions. 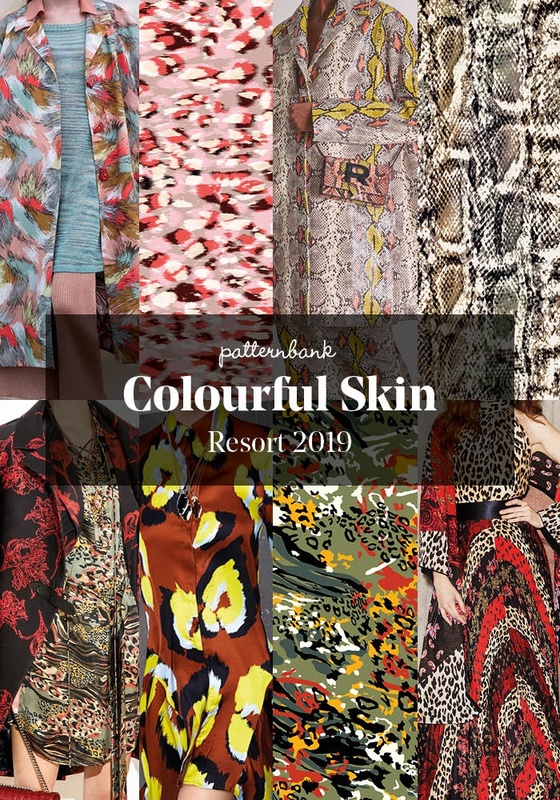 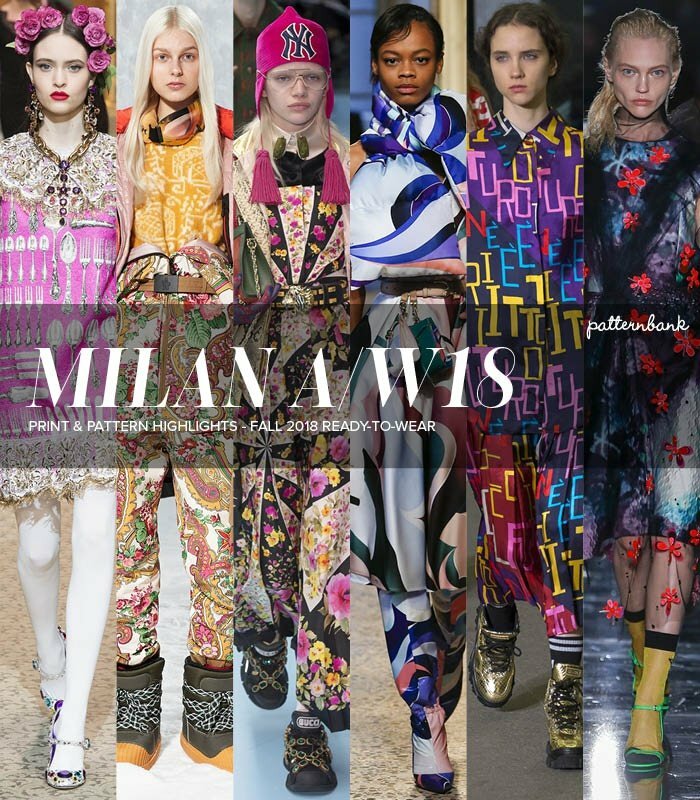 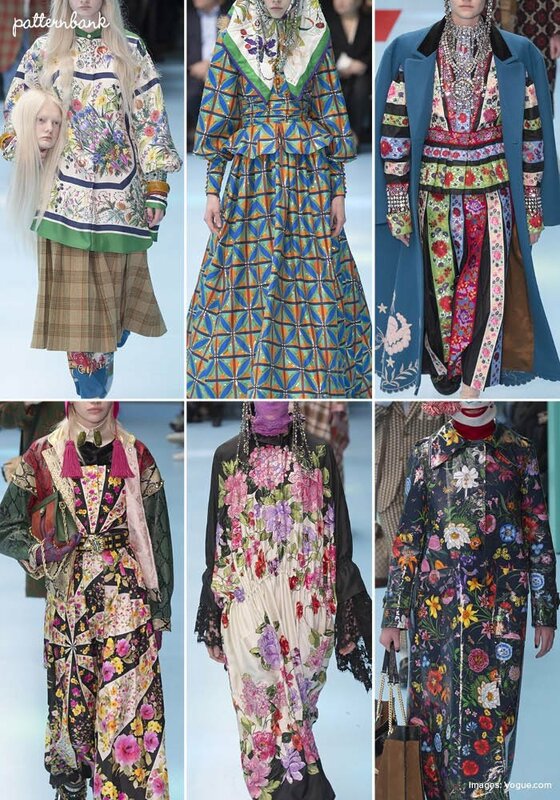 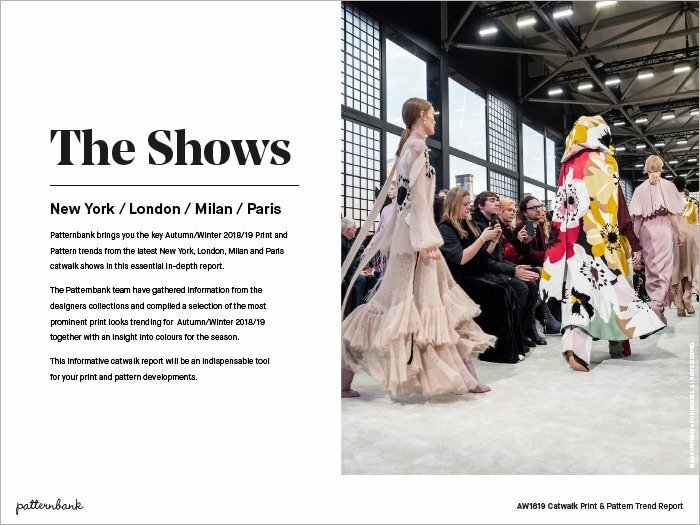 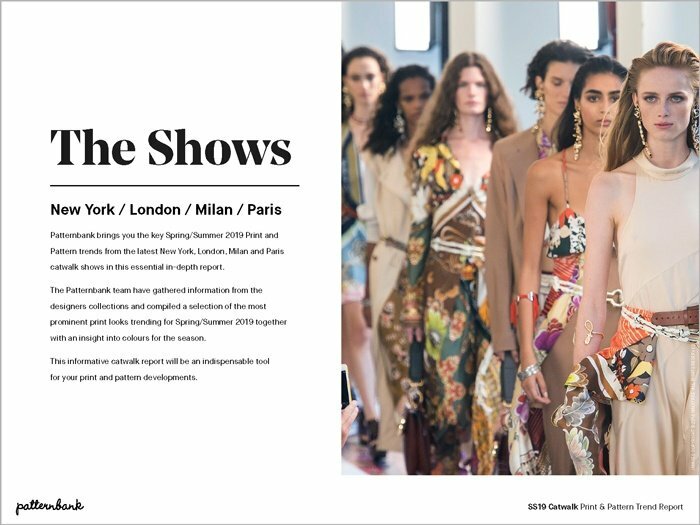 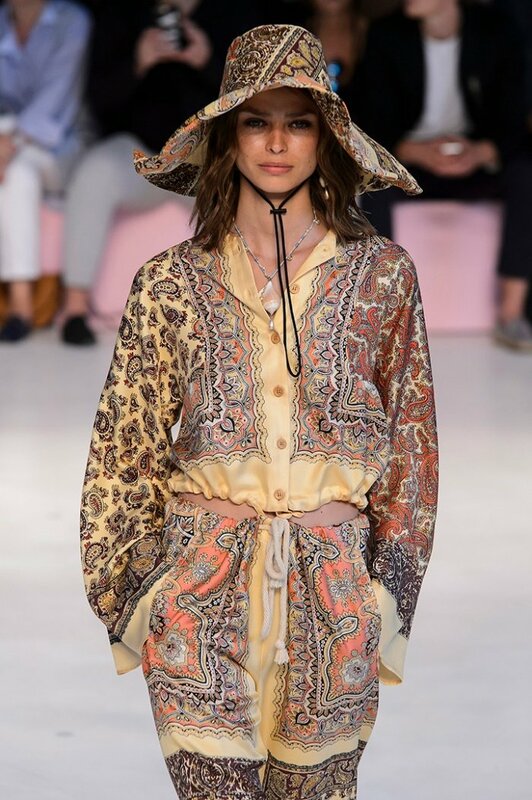 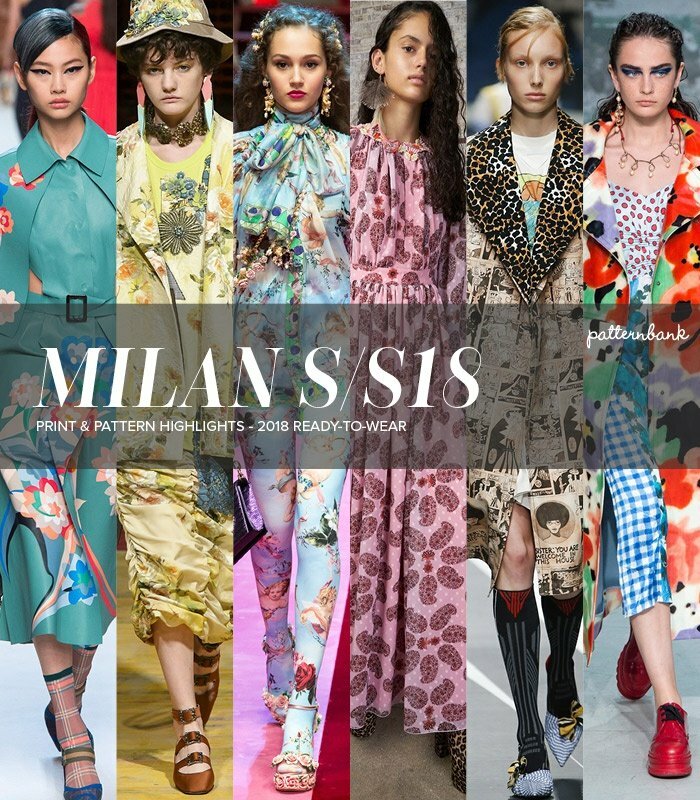 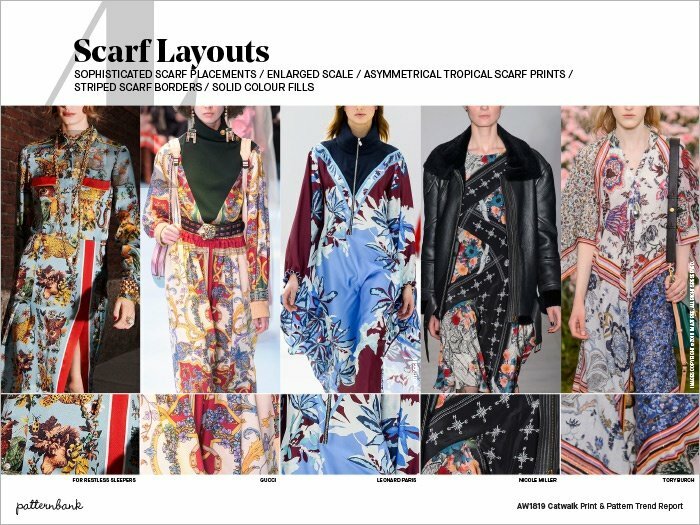 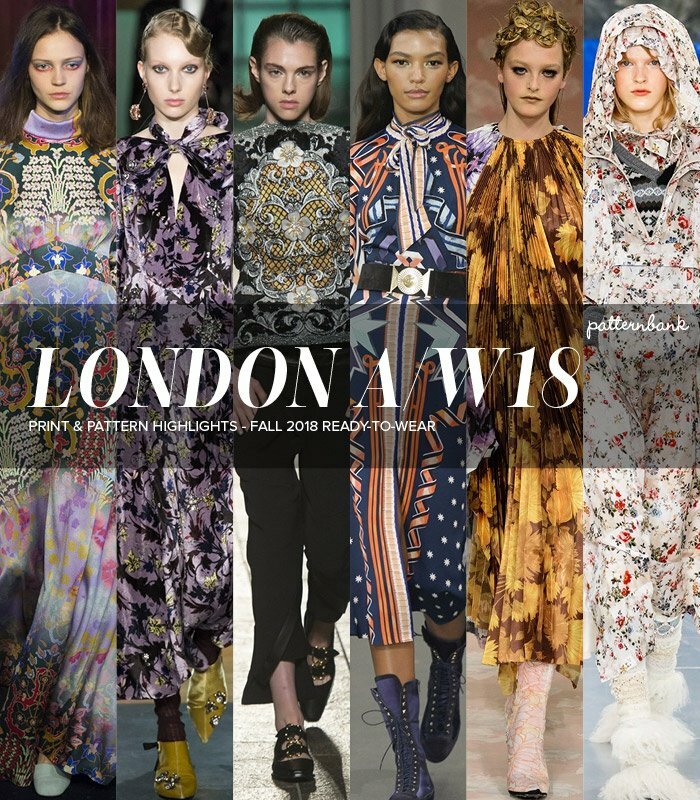 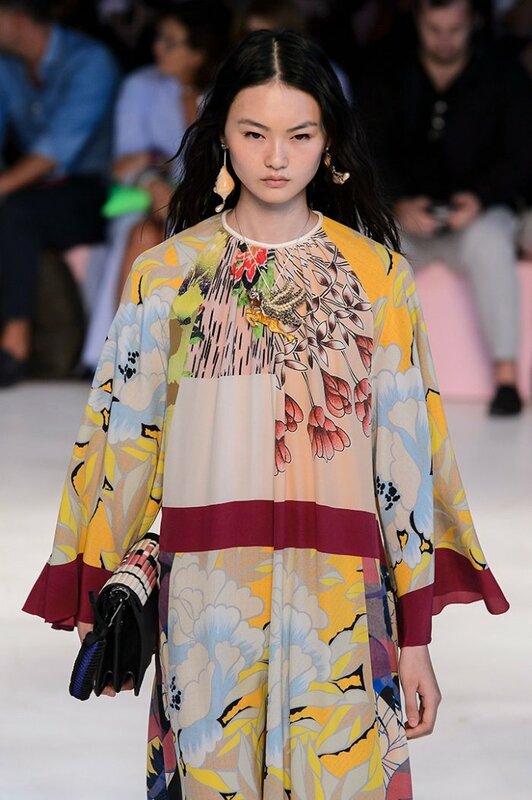 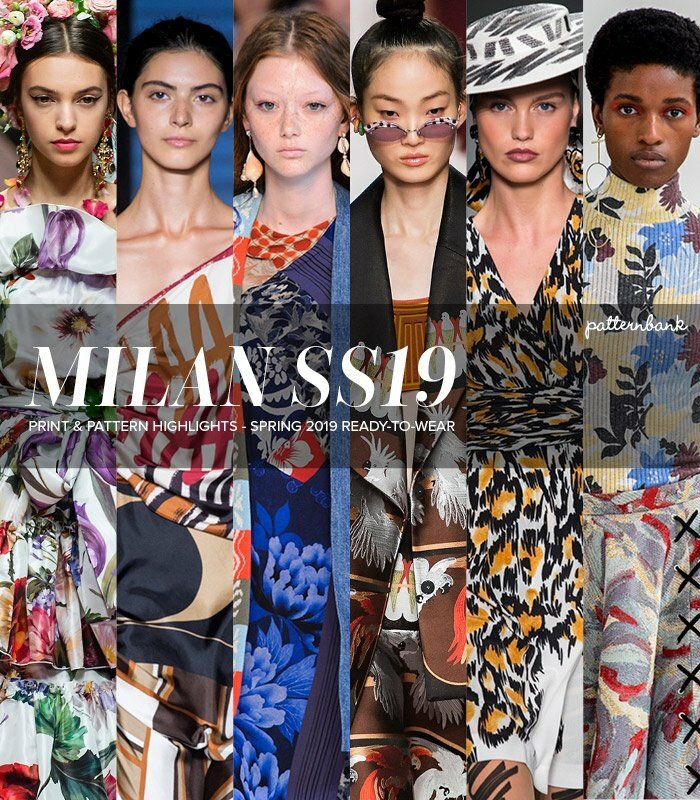 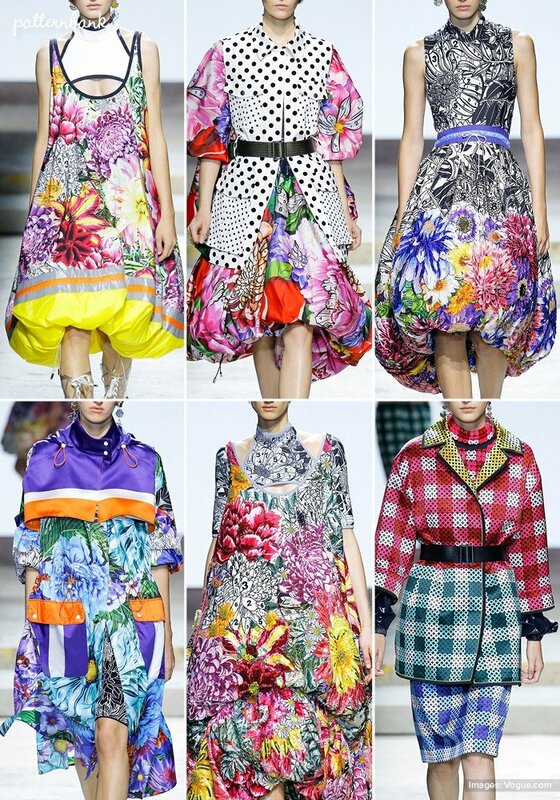 Patternbank brings you a concise overview of the most important print & pattern collections, from Fall 2018 RTW Milan Fashion Week shows. 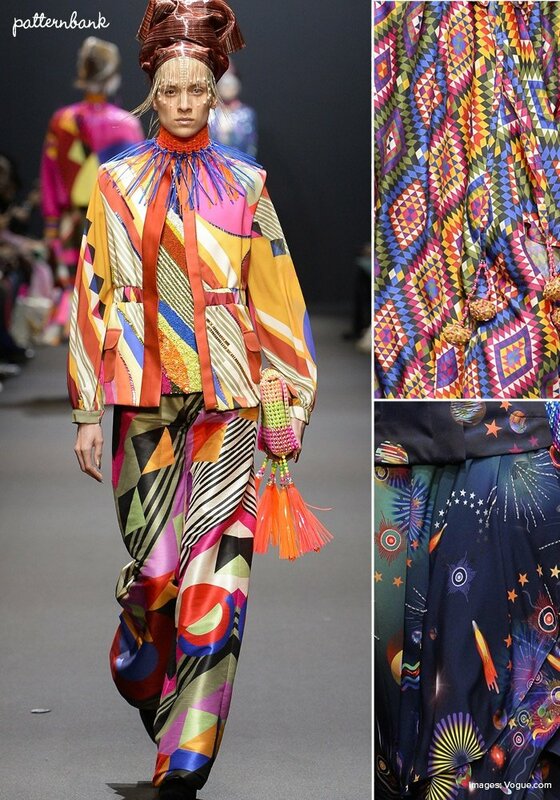 Cosmic Love was the title for Manish Arora’s Fall 2017 collection at Paris Fashion Week. 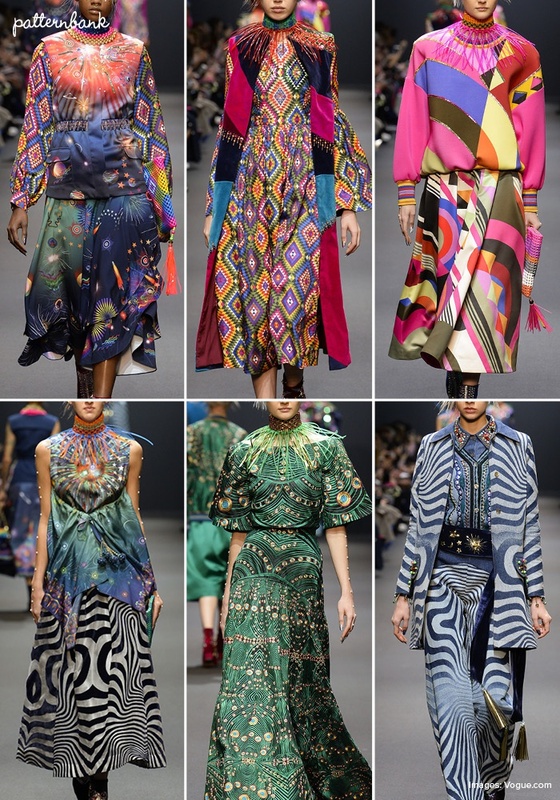 A colourful gathering of tribal love alongside trippy space rockets and a hint of contemporary abstract art in a riot of colour. 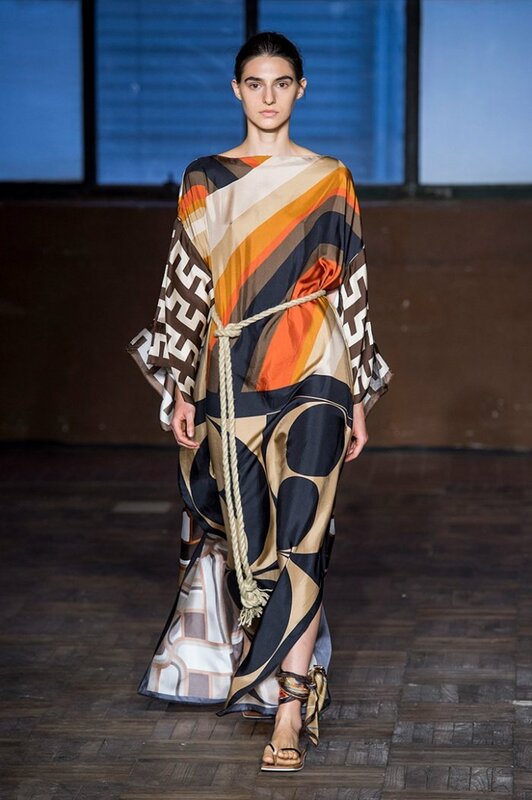 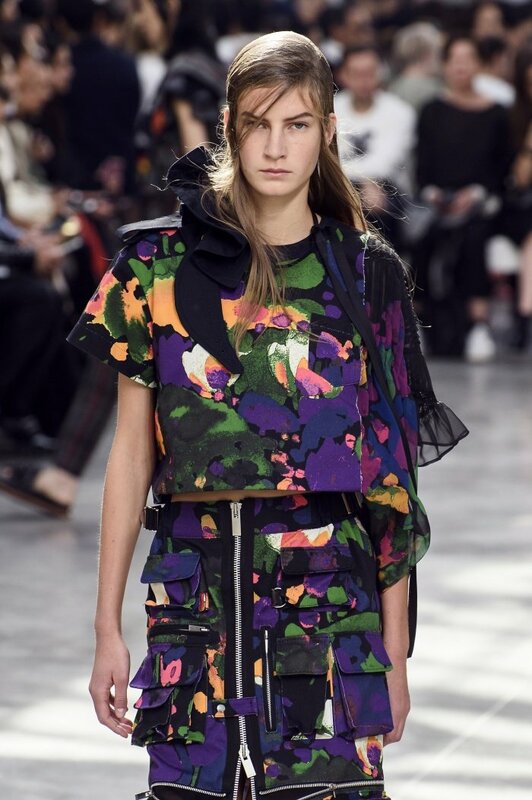 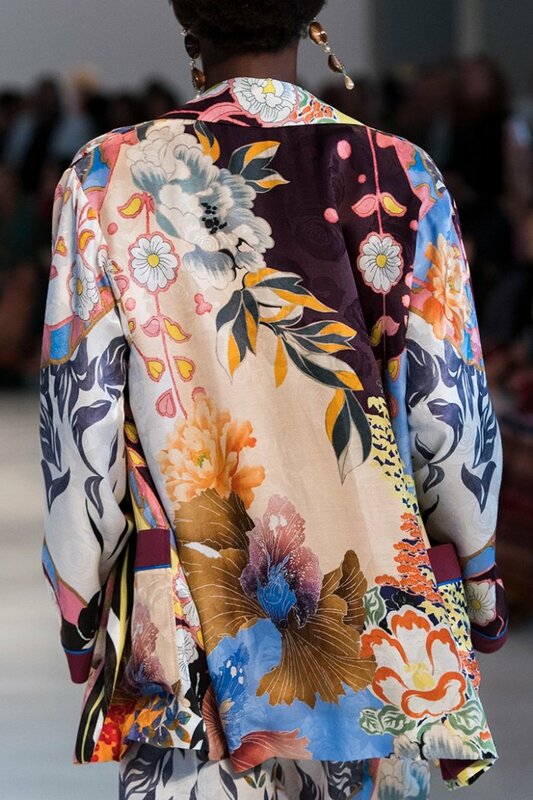 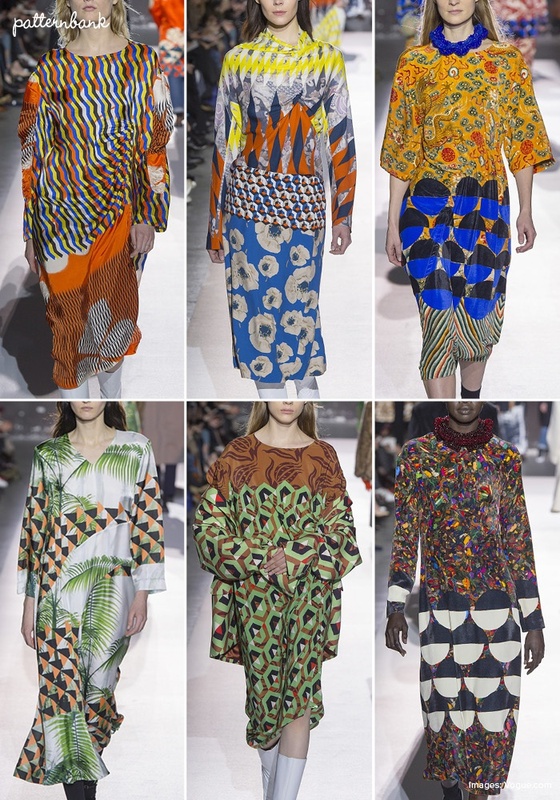 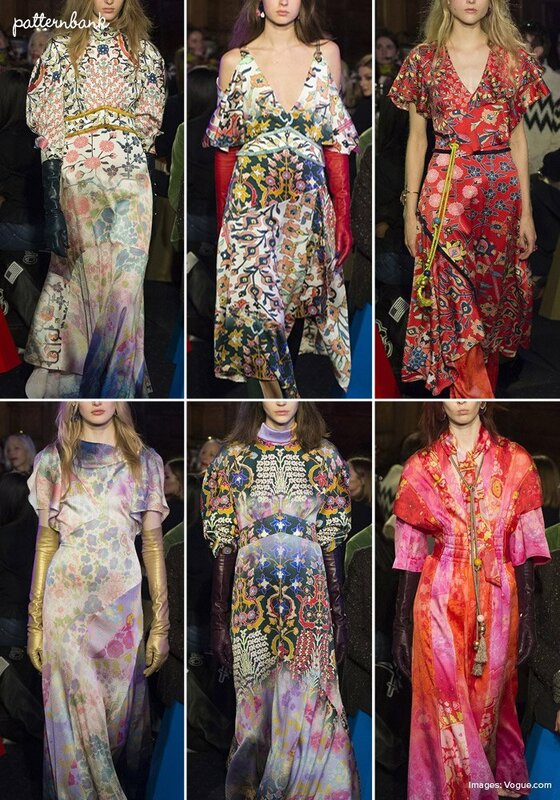 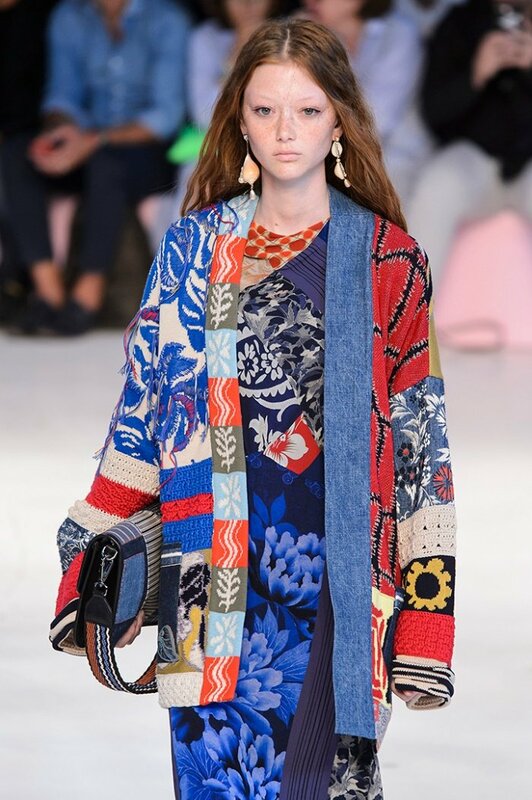 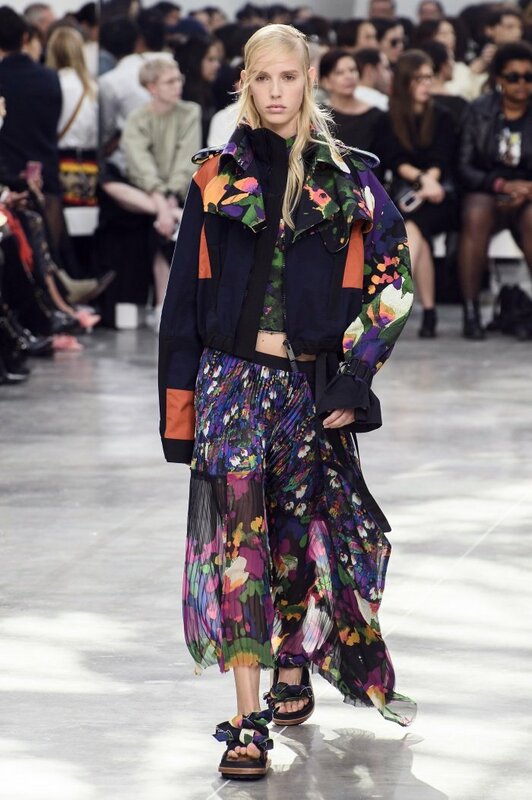 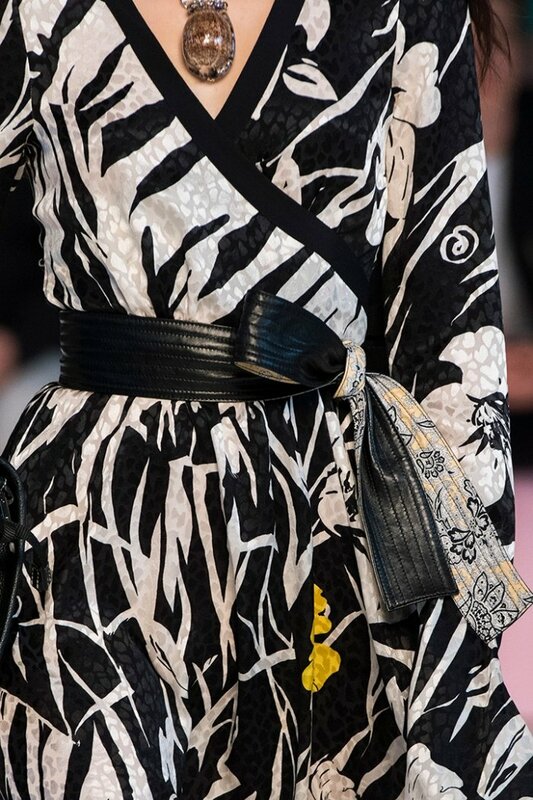 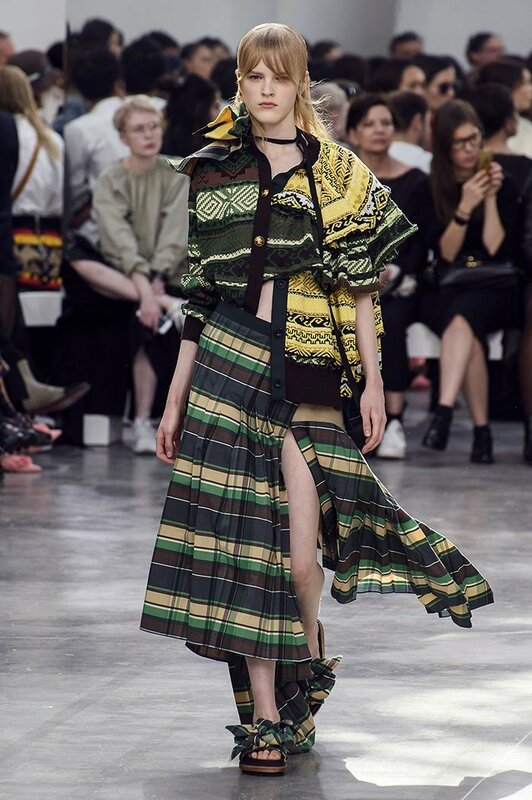 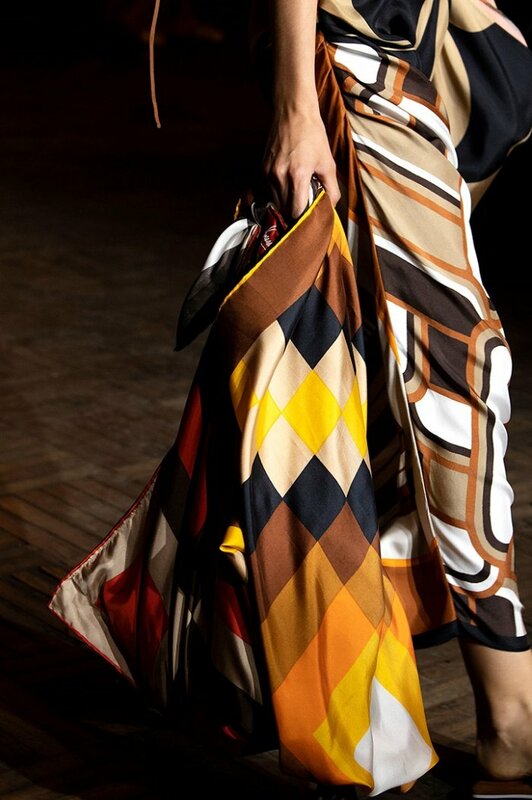 Dries Van Noten’s Fall 2017 Collection at Paris Fashion Week was a dazzling retrospective of some of his favourite prints from Chintz to Japanese Kimonos and mezmerizing geometrics, all re-worked into a collection of fabulous dresses. 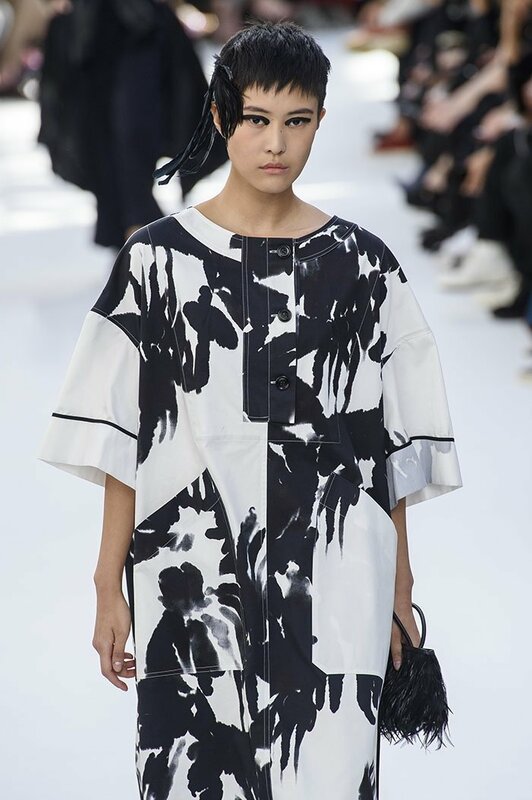 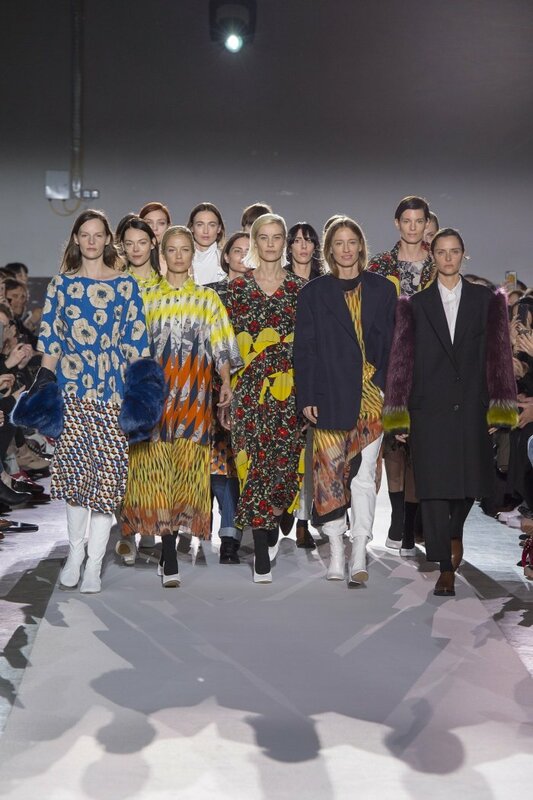 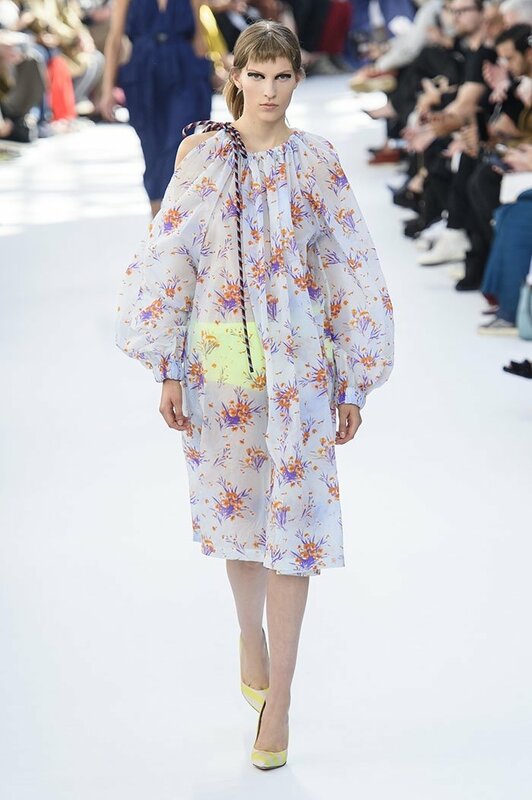 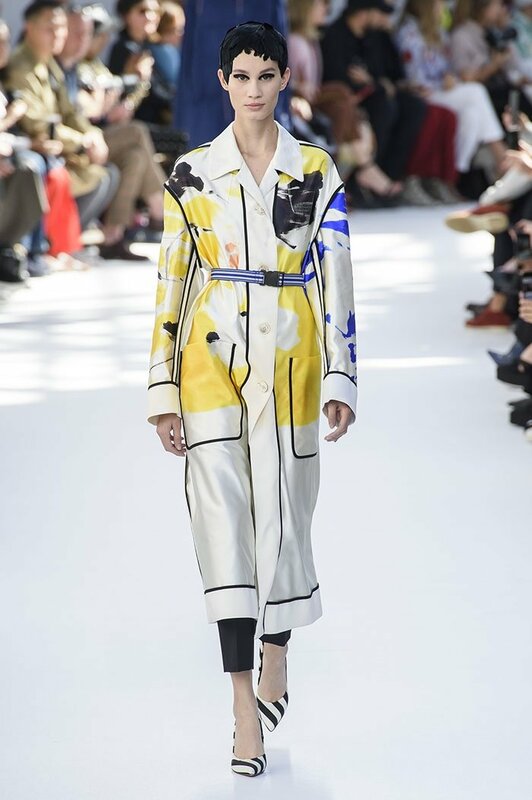 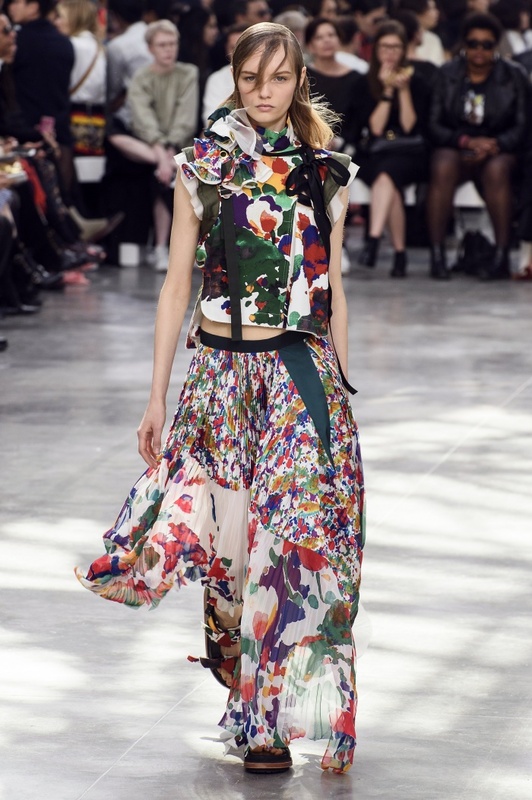 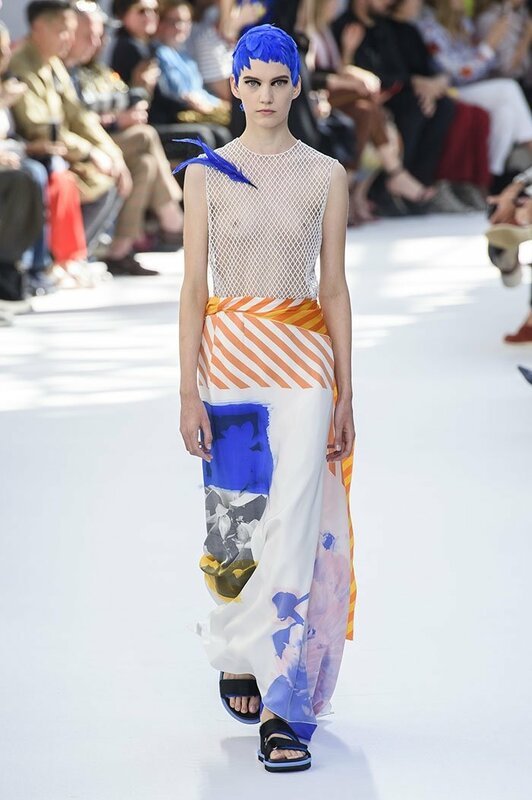 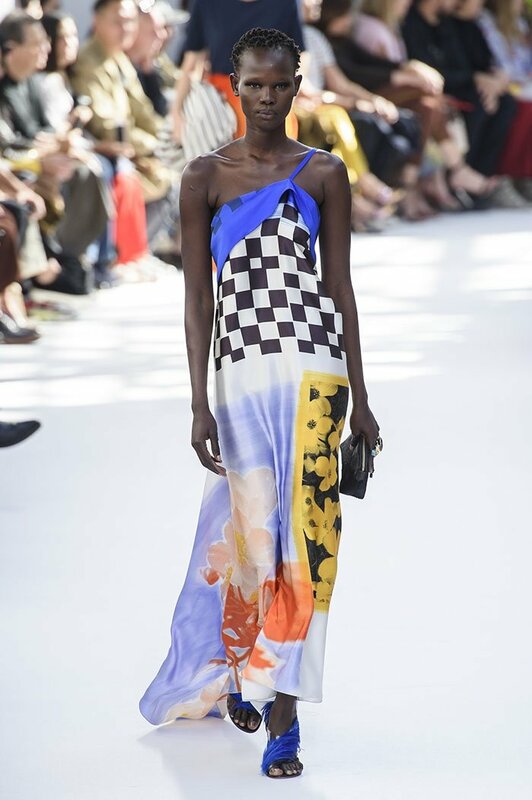 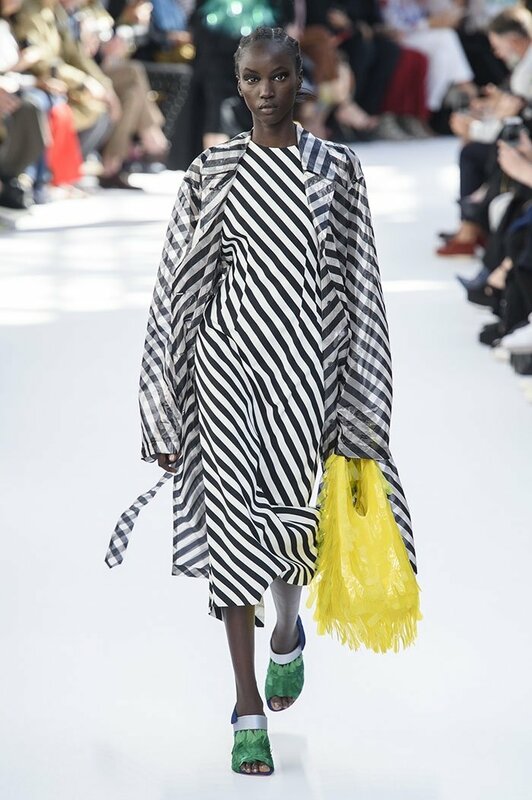 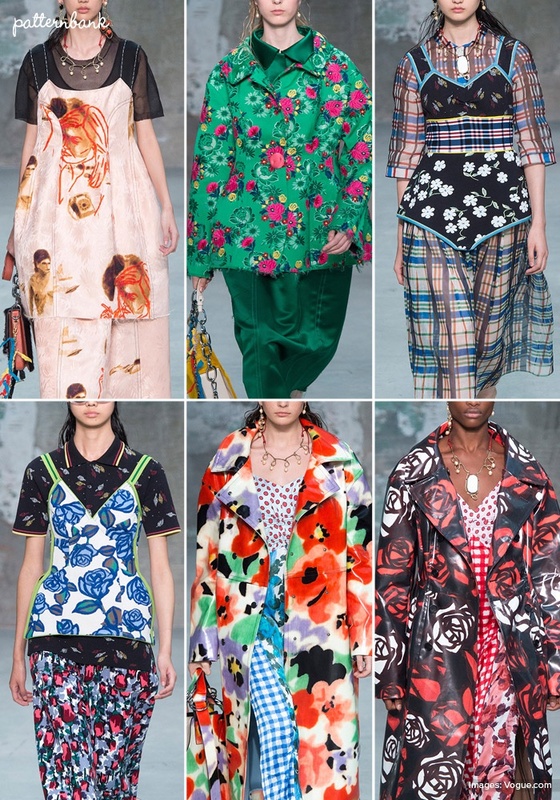 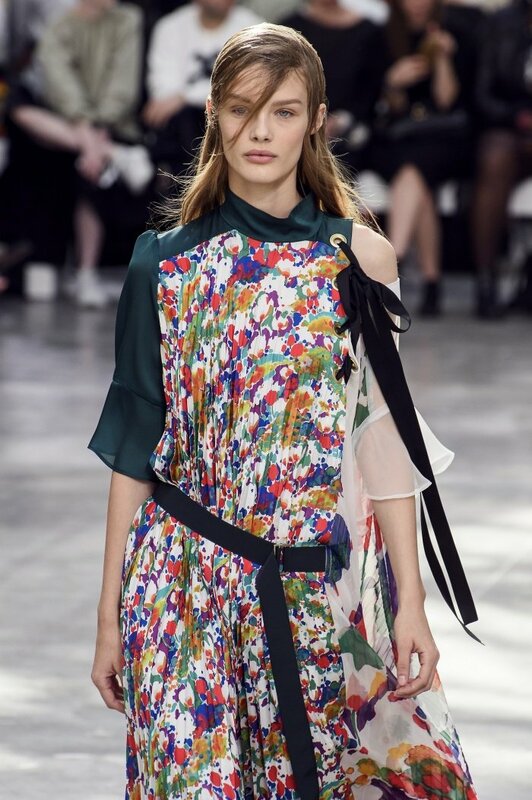 This was Dries 100th show and featured models that walked the catwalk for him back in 1993, a strong and lasting image of powerful women in powerful prints.